Safety platforms and safety mats "Competition Universal*"
The safety platforms and safety mats “Competition Universal*” offer optimum safety standards for training and competition. 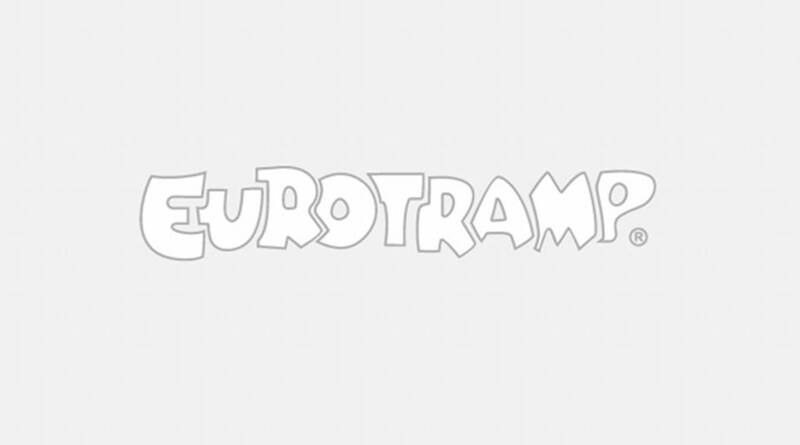 The safety platforms made from the proven steel, which is especially produced for Eurotramp, are extremely stable. The carefully selected material components guarantee longevity. The safety mats with wedge consist of a highly qualitative PE-foam that attains optimum cushioning and therefore minimizes the risk of injury. The covering consists of a special tear-resistant PVC-tarpaulin. 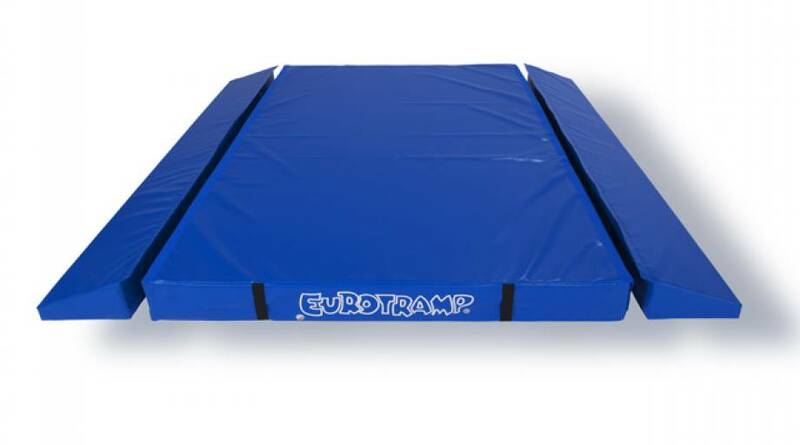 The wedge can be removed within seconds so that the mats can also be utilised elsewhere. In the event that two trampolines have to be placed closely next to each other, only one safety platform can be placed between the trampolines. 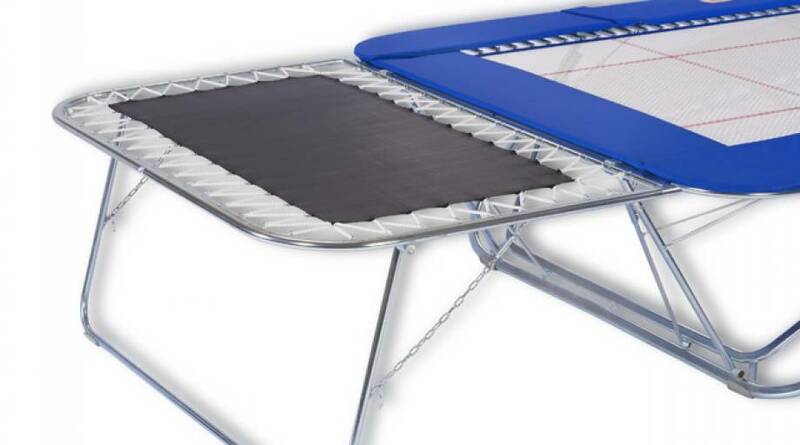 In this case, one safety mat with double wedge will serve the purpose. 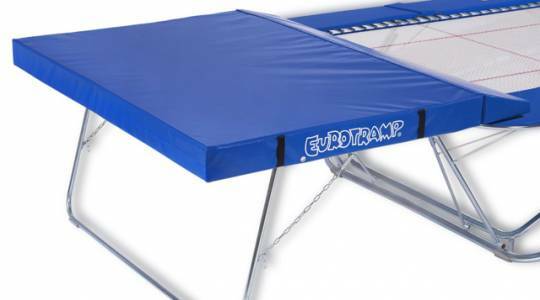 However, one must take into account that both athletes will only have one common safety mat in the middle of the trampolines. *Safety platforms "Competition Universal" replace earlier "Competition" safety platforms. Spare parts for "Competition" models are still available on request. 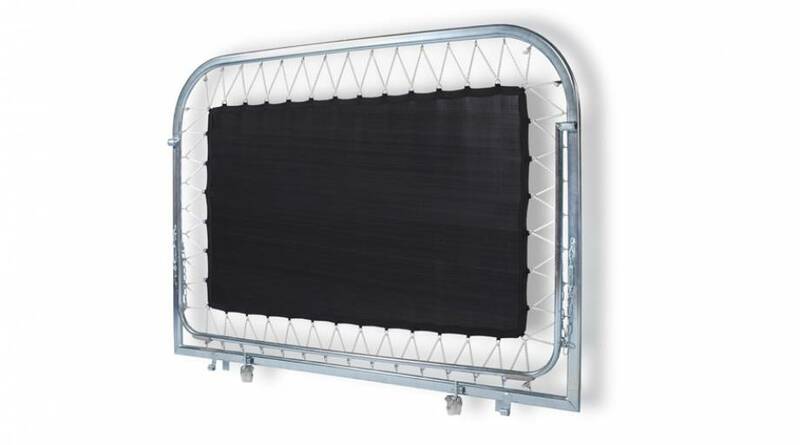 Adaption bars for older safety platforms "Competition"